UTAH – An assistant hunting outfitter and guide was sentenced in Denver, Colorado, Wednesday for illegally killing and transporting wildlife in what is said to be “among the worst cases of illegal taking and poaching of wildlife” following a joint investigation by Colorado Parks and Wildlife, the Utah Division of Wildlife Resources and the U.S. Fish and Wildlife Service. Nicholaus Rodgers, of Medford, Oregon, who worked as an assistant hunting guide for Loncarich Guides and Outfitters, was sentenced to 6 months home confinement, a $5,000 fine, 50 hours of community service and three years of probation for conspiring to violate the Lacey Act, a federal wildlife antipoaching law. Rodgers is the fourth guide who worked for the Colorado outfitter to be sentenced. On Jan. 7, 2014, a grand jury in the District of Colorado returned a 17-count indictment charging Rodgers and Rodgers’ employer, Christopher Loncarich, 56, of Mack, Colorado, with illegally capturing and maiming mountain lions and bobcats as part of a scheme to make taking the cats easier for their paying clients, according to a press statement by the U.S. Fish and Wildlife Services issued Thursday. According to the indictment, Loncarich was a big game outfitter and hunting guide who owned Loncarich Guides and Outfitters and operated primarily in west central Colorado on the border with Utah. Loncarich outfitted and guided mountain lion and bobcat hunts in the rugged Book Cliffs mountains, which span the Colorado-Utah border north and west of Grand Junction, Colorado. The investigation uncovered approximately 18 clients, since 2004, who had taken part in the illegal killing of more than 30 mountain lions and bobcats, according to the statement. “This is easily among the worst cases of illegal taking and poaching of wildlife I have seen in my 40-plus years in wildlife management,” Northwest Regional Manager for Colorado Parks and Wildlife Ron Velarde said. According to the statement, Rodgers, Loncarich and other assistants committed numerous state and federal violations by devising a scheme in which mountain lions and bobcats would be located prior to a client’s arrival and then “hindered” or “shortened up” to make it easier and quicker for their clients to kill the animals when they arrived. Methods of “shortening” the illegal take included trapping and holding the cats in cages prior to the arrival of the client and then releasing the animals when the client was present, as well as shooting the cats in the paws, stomach, and/or legs or attaching leg-hold traps to them prior to the client arriving on scene, the statement said. 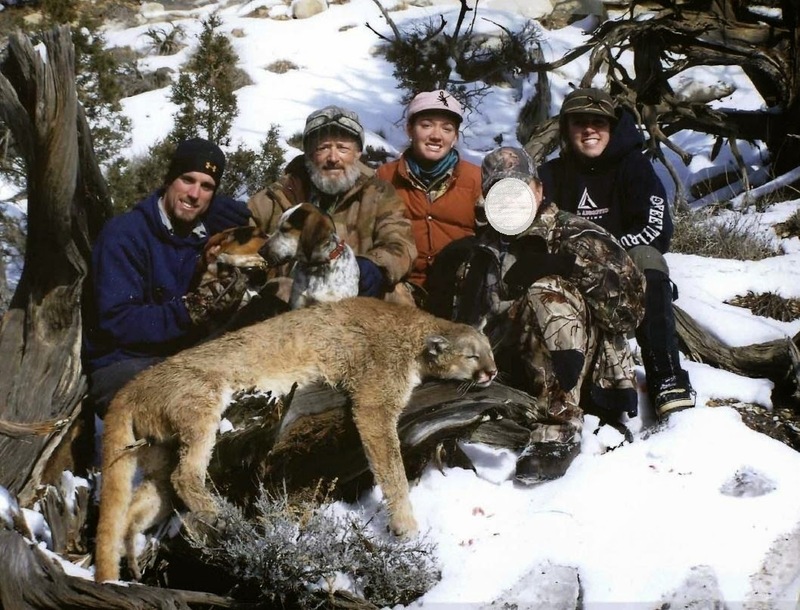 In addition, many of Loncarich’s clients did not have the required tags or licenses to take mountain lions or bobcats in Utah, violating federal law when unlawfully killed cats were transported across state lines. “The group often worked to sneak the animals unlawfully taken in Utah across the state line into Colorado, and frequently communicated via radio using coded language in an attempt to evade law enforcement officers,” according to the statement. After a kill, the statement said, Loncarich often took the client to “check in” the illegally taken mountain lions with Colorado wildlife officials where Loncarich would provide false information to obtain seals for the hides. Many of the cats were then transported back to the homes of clients who paid Loncarich up to $7,500 for each mountain lion “hunt,” according to the statement. Rodgers admitted to personally assisting clients in unlawfully killing 11 mountain lions and five bobcats during the course of the conspiracy. Many of the violations committed by Mr. Loncarich and Mr. Rogers appear to be the result of greed, unlawfully killing and maiming wildlife to increase his profits. The dedication and expertise of the state and federal investigators and prosecuting attorneys in bringing these persons to justice was outstanding. These convictions send a clear message that unlawful commercialization of wildlife will not be tolerated. Loncarich was sentenced on Nov. 26, 2014, in Denver for conspiring to violate the Lacey Act. He received 27 months in prison and three years of probation, during which he cannot fish or hunt, and has to engage in mental and substance abuse counseling. Loncarich’s daughters, Caitlin Loncarich and Andie Loncarich, and assistant guide Marvin Ellis, previously pleaded guilty to violations of the Lacey Act or conspiracy to violate the Lacey Act and were subsequently sentenced in 2014. In addition, three hunting clients have been issued federal violation notices for violations of the Lacey Act and those clients have paid a total of $13,100 in fines. The case was prosecuted by the Environmental Crimes Section of the U.S. Department of Justice’s Environment and Natural Resources Division.